As Durga Puja is just around the corner so probably you will see loads of makeup and beauty related talk for festivals on my blog and on my youtube Channel too for a few weeks from now. So today's post is a MAHALAYA SPECIAL POST. Yes, I particularly saved this post for today as I wanted to do a look, especially for upcoming DURGA PUJA. Today, I am going to share an easy eye makeup look wit two lipstick option. 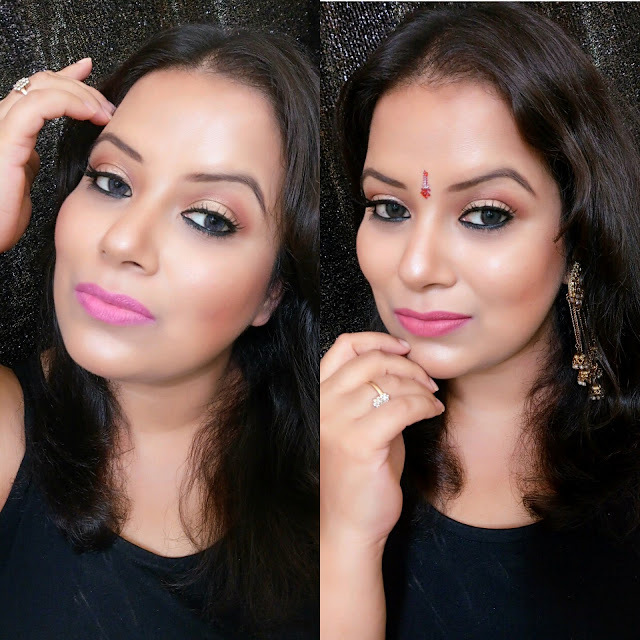 This makeup look is just perfect for people who are beginners or for those people who just want to learn an easy peasy Durga puja makeup. 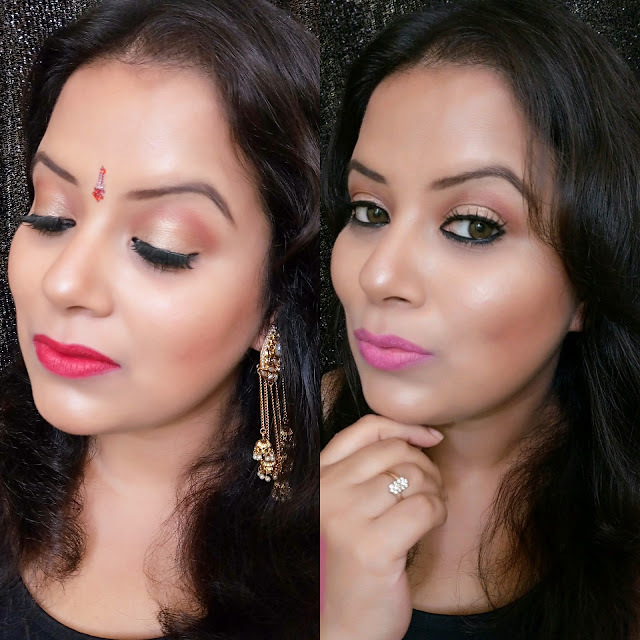 ***This one is a collab video with one of my Youtuber friend "GlamliciousIndia" so do check out the video description box to get the link to her version of Durga Puja Makeup Look. MAYBELLINE FIT ME FOUNDATION (MIX TOGETHER) IN SHADE 228 AND 128. MAYBELLINE FIT ME CONCEALER IN SHADE 20. MAYBELLINE FIT ME MATTE + PORELESS COMPACT IN SHADE 120 CLASSIC IVORY. LAKME EYESHADOW PALETTE 'FRENCH ROSE". 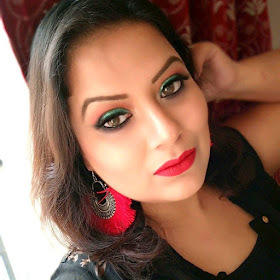 LAKME EYECONIC KAJAL IN SHADE BLACK. LAKME ABSOLUTE SUN KISSED BRONZER. LAKME ABSOLUTE SHIMMER BLUSH IN SHADE PINK. COLORBAR "FEEL THE RAIN" COLLECTION LIPSTICK "STORM". BRUSHES USED ARE FROM REAL TECHNIQUE. LIP BRUSH IS FROM ESSENCE. BEAUTY BLENDER IS FROM REAL TECHNIQUE. So, that's complete my today's post and I hope you like this today's Mahalaya special Post.